Users of social networks save and share huge amount of data and become a favorite target of potential attacks. 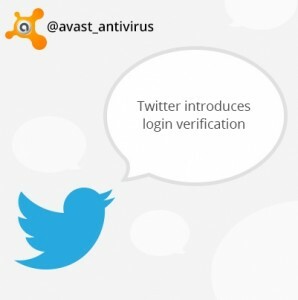 Therefore we, at AVAST Software educate You about online security and how to protect your privacy on social media. 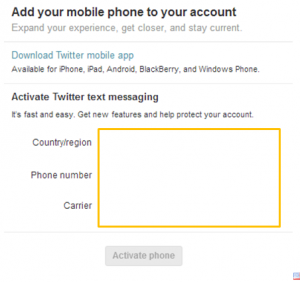 Check a new security feature, introduced recently by Twitter. With a growing amount of new users and increasing numbers to log in, Twitter decided to introduce a new feature. Login verification is another security level, preventing from compromising email phishing schemes, as well as breaching of passwords. After you fill up all data, you’ll be asked to enter a six-digit code that we send to your phone via SMS each time you sign in to twitter.com. After setting up the login verification existing applications will function without any problems. Login via other devices or applications will require a temporary password. For that visit your application page, generate a temporary password, in other to authorize that app. Following Twitter advice we still encourage users to maintain a secured password. We also recommend one of Avast products a free password manager - Avast Passwords.